Could it possibly be true…. Gin it’s good for your skin…..
Getting a little carried away with the heading folks, but Gin’s distinct smell and taste is a combination of many things, but first and foremost the humble little [or not so little depending upon the variety] Juniper berry with it’s woody and spicy notes creates the fragrance that is synonymous with that favoured British tipple; although the origin of the word Gin is actually Old French for Juniper. Juniper berries have been used right across Europe; as a medicine against many differing ailments and disease and as an additive to food usually meat or game dishes; in ancient Rome this little berry even substituted Black Pepper as it takes on the same texture and smell once. Whilst In Northern European countries it is still used today as an additive to Beers. But for Big Green Tree this little berry offers up significant natural healing and regenerative properties. it’s ability to calm, heal and rejuvenate [skin] in a natural and simple way is why its used in our Aftershave Balm; Junipers qualities help with oily and acne prone skin, as well as more inflammatory problems such as eczema, psoriasis, dermatitis and even helping to reduce blocked pores. 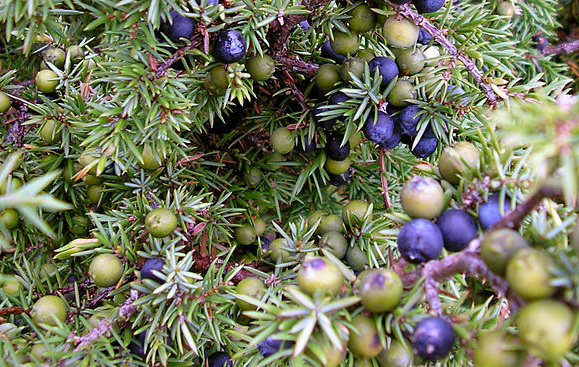 All in all the essential oil of the Juniper berry has been used down the centuries from a simple spice through to natural remedy, free from chemical enhancement it is what it is, pure…. and at the end of the day why not relax with that Gin…Beauty isn’t skin deep.